Since we last caught up with the Young Guns boys they have had a whirlwind of a year and it doesn’t show any signs of stopping. They have just completed a sold out UK tour playing their biggest headline shows to date. So, last time we caught up with you it was the start of the “Bare Bones Club Tour” at the beginning of this year and it’s really blown up since then. Has it been a bit of a whirlwind or have you managed to take it all in? BEN [Jolliffe, drums]- We’ve been trying to! You get moments when you’re somewhere cool and you go “wow, look where we are”. It’s one of those things that when you’re writing or touring or wherever you are, you are focussed on that moment in time. Looking back it’s quite amazing how much we’ve done. You’ve had a busy summer with the likes of the Olympic Torch Relay, Festivals and America; has there been a highlight? Don’t pretend it wasn’t holding the Olympic torch! BEN- [Laughing] Ooo that was cool! FRASER [Taylor, guitar]- Yeah, that was pretty cool actually. We got to play a stadium which was cool. This tour’s probably the highlight though; it feels like it’s all been building up to this. 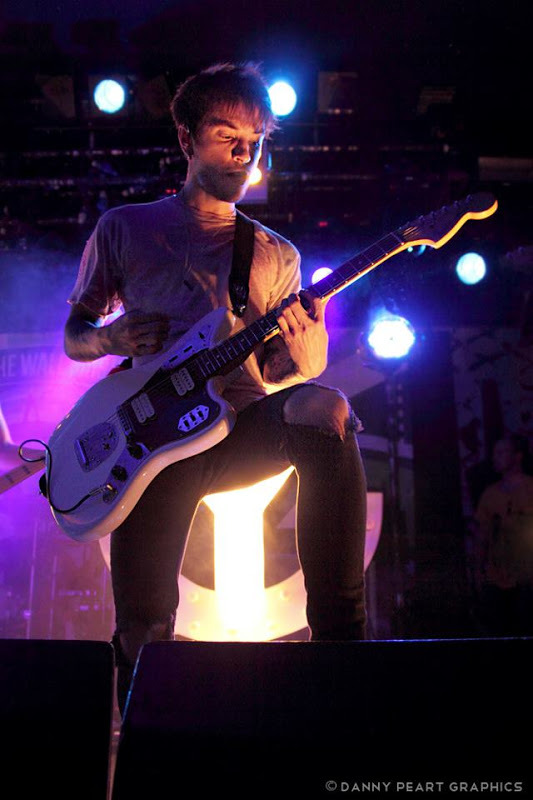 This is “Vans Music Night Tour”; most shows have sold out and venues have been upgraded. Were you really excited embarking on this much bigger tour compared to more intimate venues earlier this year? BEN- Yeah, we were really excited. But like you said we did the Bare Bones Tour which was smaller venues and because of that we weren’t sure how many people would want to come see us at a big venue. FRASER- It’s quite confusing thinking do that many people like us? How did you get involved with Vans? Is it a brand that you’ve always been a fan of? FRASER- Yeah Vans have always kind of hooked us up and we’ve done a few other things for them. But I guess it was through our management. 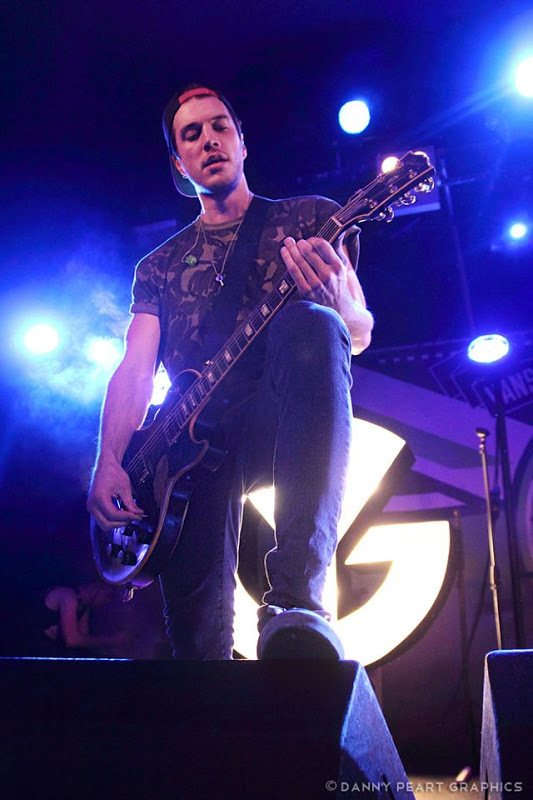 BEN- I remember one day someone just suggested bringing in Vans to be a part of it and we were like yeah! FRASER- And it kind of makes it more of an event as well. You’ve been doing special Vans in-store acoustic sessions beforehand as well, right? BEN- Yeah they’ve been cool. Again with the signings, before it’s always like “is anyone going to come?” But they’ve been awesome; we’ve played some songs and done some signings and it’s nice to see fans again properly. BEN- Yeah, it’s been awesome. Like you said the line-up is pretty varied, and all three are pretty different bands but the crowds have just been great with all of them. FRASER- We’ve watched them all every night and it’s made us even more excited to play. You guys haven’t yet played on the Vans Warped Tour out in America; is that something you want to get involved in for the summer? FRASER- Yeah definitely. This year so many of our friends were on it and we were so annoyed and we’d see all their pictures on Instagram and stuff. BEN- It’s one of those things; it’s been one of our dreams to do The Warped Tour, but we want to make sure we get our market in America first. You see a lot of UK bands that go over there and playing to ten people a night. Hopefully next year or maybe the year after we can do it. But, it’s definitely something we really want to do; it’s hard work apparently, but we really want to do it. 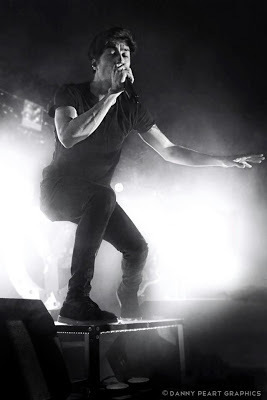 You stepped things up on your most recent album “Bones”; have you started thinking about the direction of the next record as well as starting the “Bones” campaign in America? BEN- Yeah, that’s the thing. It’s just starting in America which is weird being out there doing all the press we did nearly a year ago over here. It’s weird saying the same things that you said all that time ago. FRASER- We’ve already been thinking about the next album and are really excited to do it, but we’ve just been so busy that we haven’t had much or any time to properly sit down and write. I’m sure we’ll have time…soon…Christmas Day? Do you feel under any pressure or put yourselves under pressure because of the success of “Bones” and the great year that you’ve had? BEN- We put ourselves under pressure but I don’t think it feels like we should. FRASER- I dunno, I think once we properly get started we’ll be like “oh s**t we actually need to do something”. BEN- I think we’ve got a lot of belief as well. With Bones we felt like we’d stepped it up a lot, song writing wise and the flow. But we didn’t maybe have enough time so I think with the next album we’ve got a much better idea of how we go about writing. It should have a better flow but we still have to hope that the right songs come out. So it’s full steam ahead for you guys with a European tour after this one. I guess you’ll get a bit of time off; what is the number one thing on your Christmas list? FRASER- It’s got to be a puppy! I really want a puppy. Ok, so if we catch up with you this time next year what will you be telling us has happened? FRASER- I thought you were talking about the puppy! He’ll be a year old and be my best friend…I’ve forgotten what we’re talking about now, sorry. BEN- In a years time we’re going to be as busy, if not more busy hopefully, and we’ll just look really tired, if we don’t already. The bar has been set high this evening. With supports in the form of Leeds’ very own Marmozets, followed by Your Demise and We Are The In Crowd the sold out Met audience are suitably riled and ready for the evening’s climax. And with a strong reputation preceding them, expectations are high as Young Guns step up on to the stage to deafening applause. This couldn’t be further removed from the intimate and sweaty surroundings of the Club Tour. The extravagant lights and more elaborate staging is very different from the last tour at Leeds’ The Well, however the heart of the show remains entirely the same; the music. 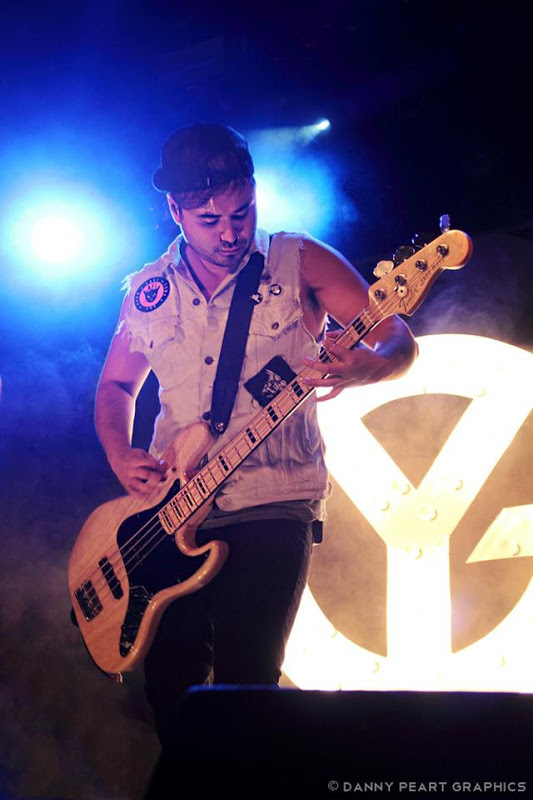 Young Guns is a band that thrives on stage; their live set gets better every time they tour. Playing a range of hits tonight from their impressive back catalogue they inject life into the songs that are great on record, but even better in the flesh. Kicking things off, “Dearly Departed”, taken from the latest album “Bones”, begins the evening as it means to go on. 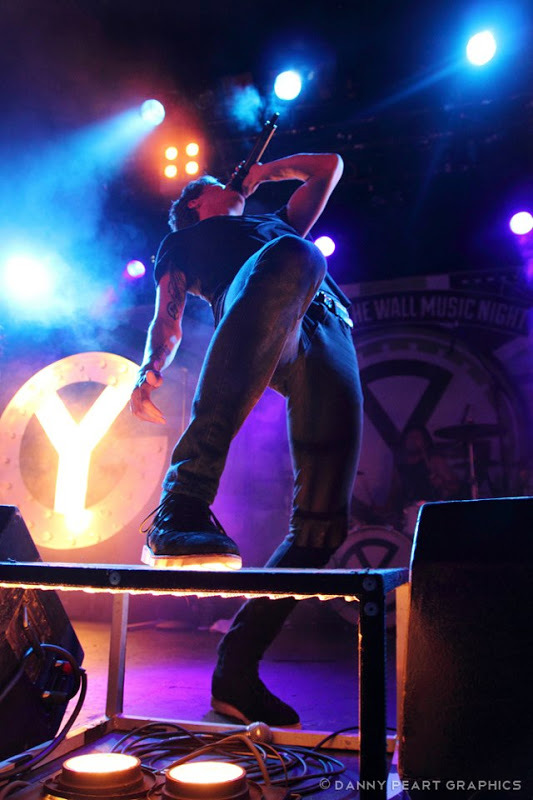 From beginning to end the venue is awash with crowd surfers, circle pits and cheers as Young Guns play current hits such as “Brother In Arms” and older favourites such as the powerful “Weight Of The World”. From heavier breakdowns on “Dead On Arrival” to the slower more progressive tones of “You Are Not” the tempo of the evening was perfectly balanced between the fast and relentless pit inducing numbers to the more heartfelt get-your-lighters-out unconventional ballads. Young Guns even give the crowd the opportunity to select which song they should play next, and “Daughter Of The Sea” which Gus admitted is the first song the band wrote wins. 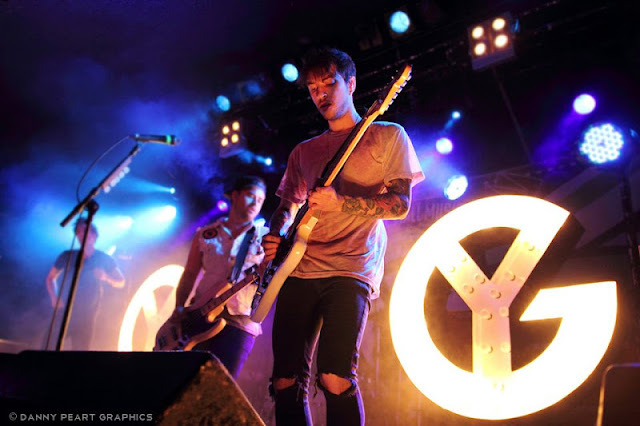 Young Guns are no strangers to Leeds and the fervent crowd are happy the band has returned. Chants of “Yorkshire” to which front-man Gustav willingly joins in, engulf the room. Energy levels are raised with each song as the entire band storm up and down the stage to “Brother In Arms” and the irresistibly stirring “Towers (On My Way)”. Undeniably passionate, the band are genuinely thankful for where they are and for their fans. A thunderous performance would not be complete without an encore and the night ends on a high. Hit single “Bones” with its distinctive percussion and infectious chorus ends the evening perfectly. A sell out UK tour, a European tour underway and plans to conquer America, there’s no slowing down on the Young Guns wagon; be sure to join the ride. 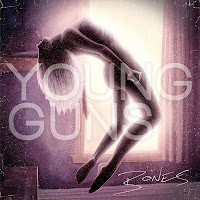 Want more of your Young Guns fix? 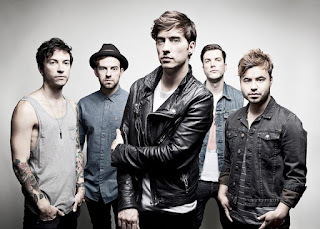 Well click HERE to read our chat with front-man Gustav Wood from the Bare Bones Club Tour. Live show photo credit: Danny Peart Graphics.